In one of the most gripping news stories recently, the Thai boys who spent 17 days in a dark cave were rescued, and a photo of the Thai Navy Seals who took part in the heroic rescue went viral all over the world. 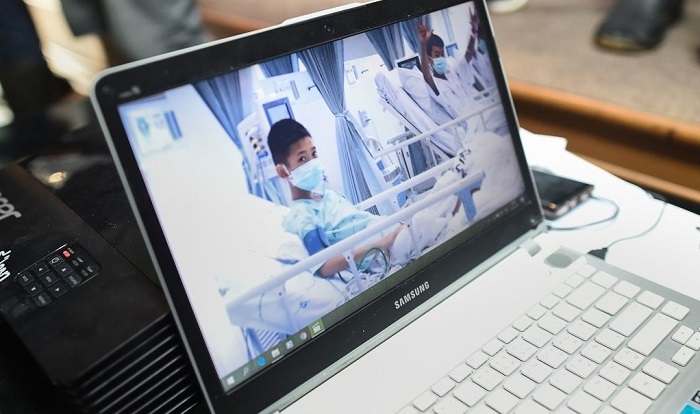 The entire world was holding its breath after news of the 12 boys who were lost inside a Thai Cave broke out. The ordeal, that is nothing short of the stuff Hollywood blockbusters are made of, had all of us riveted to social media and the news, hoping that the boys will make it out ok. Although the path to the boys was about a mile long, it took 17 days to get them out of the cave because of rising waters, narrow paths and difficult terrains. Despite the difficulties, a team of 100 divers from all over the world was able to get each one of the boys out of the cave, safe and in one piece. 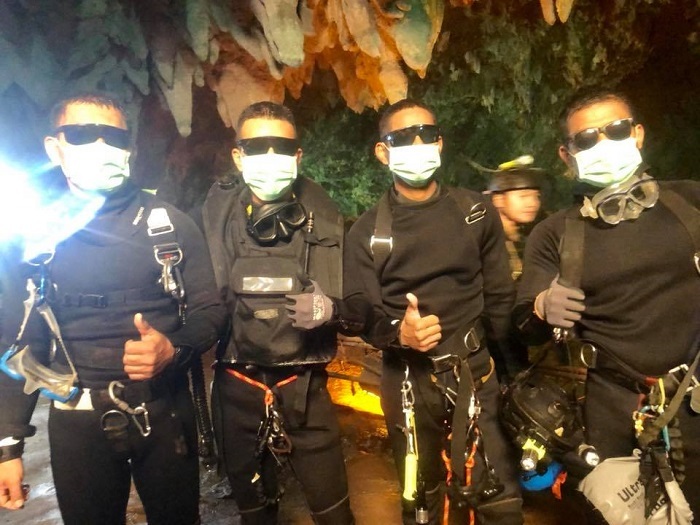 Along with this rescue team, members of the Thai Navy Seals stayed with the boys inside the cave, and now they are also all-stars after the success of the mission. The four men, wearing masks and standing together, were photographed together, and their photo was posted on the Seals' Facebook page. Looking as cool as possible, the photo of Navy Seals standing together went viral with a caption that reads "Hooyah Hooyah Hooyah," – a traditional expression of happiness and excitement among navy seals. These real-life heroes will be remembered for what they did for years to come, and them becoming viral is definitely rightfully earned.